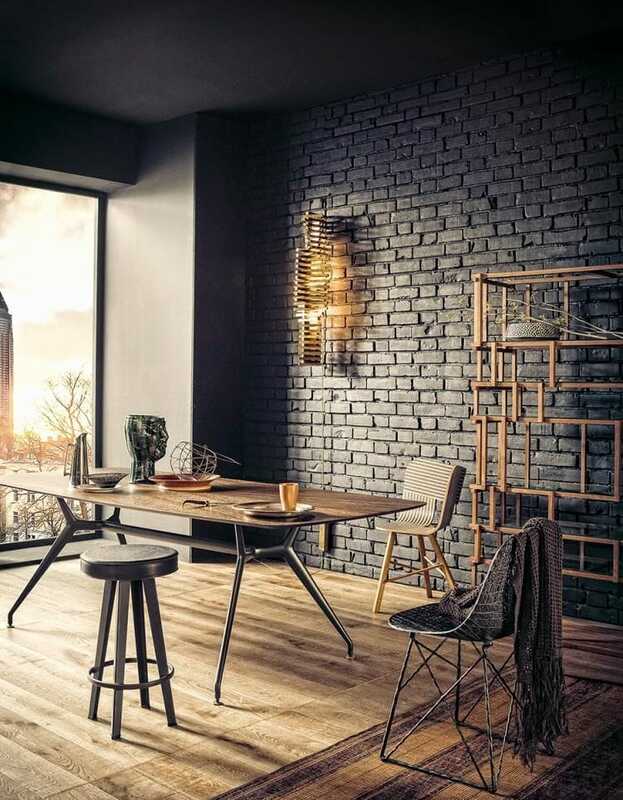 The industrial style is a popular trend that can make your room have an engineered look to it. One of its most important defining characteristics is the use of exposed steel. Other trademark features are the painted brick walls and rustic wood. This design style tries to mix together different elements for creating an organic blend that can definitely revitalize a home with a modern twist. 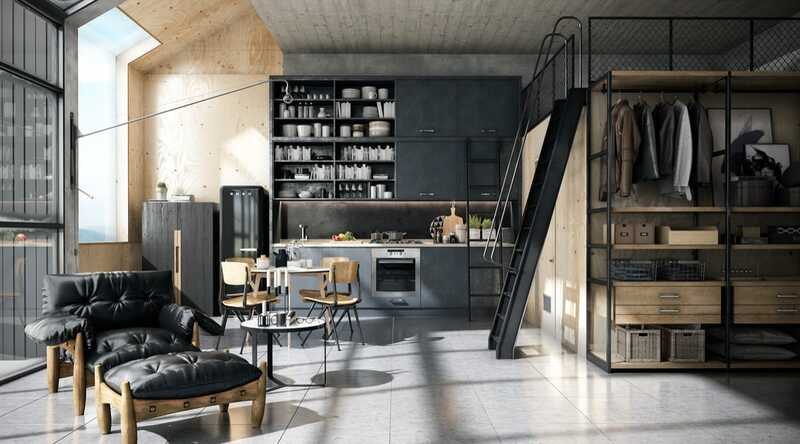 As it borrows inspiration from factories and warehouses, the industrial style has a unique architecture style which you’d usually expect in the urban landscape. The character of this design makes use of various details such as ceiling beams and metal reinforcements. 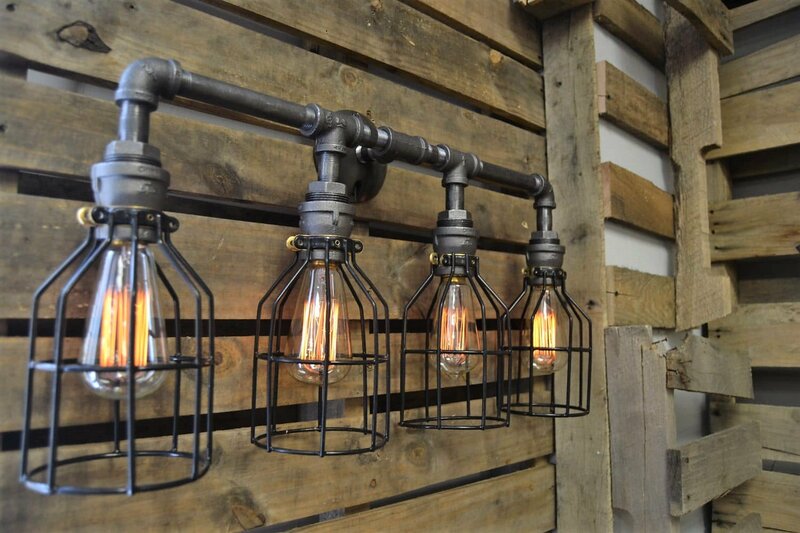 There are multiple ways to decorate your home in the industrial style. We’ll explore the most interesting ones and give you some advice to redesign your living space using this aesthetic. When you wish to decorate the room in a certain style, it’s always recommended to start with choosing the right color palette. This is an essential process because all the pieces and elements you use when designing the room should depend on the color choices. The industrial style favors aged and worn hues with a nice variation – from earthy accents to steel and iron tones. Brown and burnt colors will also feel at home with this design style. If you stick to a rustic color scheme you should have no problem with achieving the desired effect. Metallic tones play an important role in this design style and you will probably need some extra whites and natural wood to keep the palette balanced. Having exposed brick walls would be a huge plus as you will be able to make use of a generous amount of rusty red color. Don’t worry if you don’t really have real brick walls available because you can use fake walls and paint them to resemble the real thing. With the help of this brick wall, you can then use a varied range of accent colors when arranging the other decorative elements. Before you can decide on specific pieces and decorations, it’s essential to be aware of the key elements used in the industrial style. It will help you when trying to imagine the future look of your industrial room. While other elements are also important, metal represents a true powerhouse when it comes to the industrial style. It’s welcomed in a vast range of styles such as rusted and galvanized. You can rely on it for pure aesthetics alone and it can often be used for highly functional pieces. Metal has a tendency to provide a coolness effect so this is why a warmer element like wood is needed. While natural wood with a fresh look isn’t necessarily frowned upon in the industrial home, it’s recommended to try to keep this element in a rough or refined state. The idea is to have your pieces and wood items suggest through their looks that they’ve been reclaimed and repurposed. Leather in all its forms represents a charming companion for all the utilitarian foundation of the industrial style. Whether sleek and elegant or having a worn aspect, leather has the ability to make any living space feel homier. 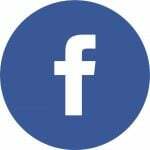 Try to use it for accenting the furniture and other decorative pieces. Bare brick is a staple of any industrial interior. When you’re trying to picture a classic industrial look you could think of an old warehouse with stained concrete and aged bricks. 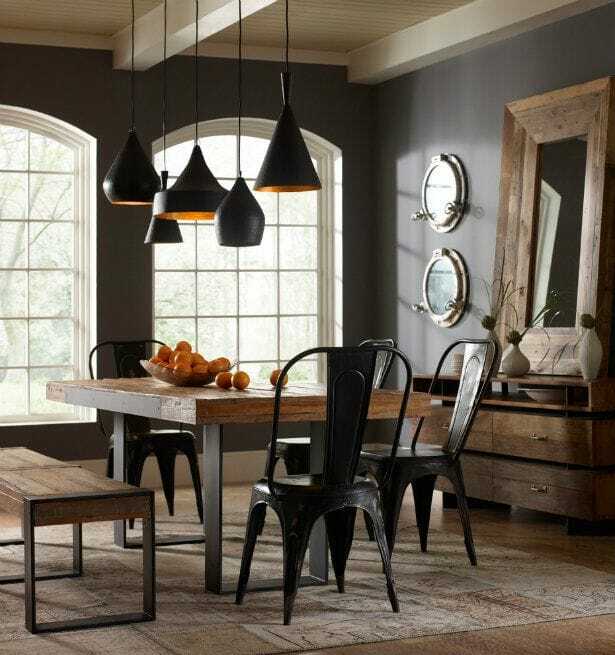 Blending elements with the right accents will result in a complete industrial look. Here are the most important accents which can help you decorate with an industrial flavor. Your industrial space can definitely benefit from the visual impression created by various hardware such as gears, nuts, and bolts. Various little details that are exposed in full mechanical glory add a very welcomed artistic effect for any industrial home. Think of cables, pulleys, and clock gears. There are lots of possibilities to include mechanic accents into your décor. 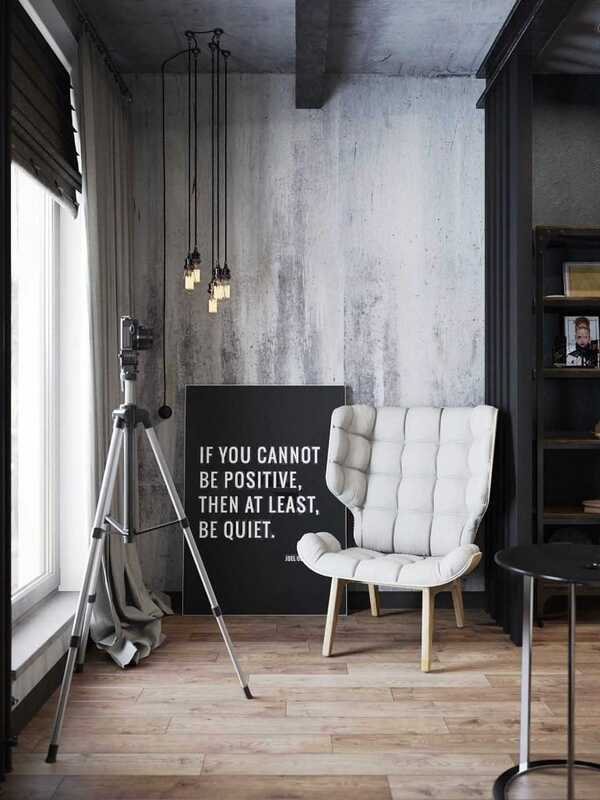 This is one stylish detail that can bring a timeless feeling to any industrial room. Rivets are historical pieces which can act as compelling accents for various industrial items. When it’s time to add some finishing touches, pieces that make use of wires are highly recommended. Cage lights and metal baskets bring to mind industrial places where adequate protection is mandatory. While the same purpose remains, these items are also very pleasing to look at. This is a great inexpensive wire basket from Amazon. The furniture of the industrial style makes use primarily of unfinished wood. To make your coffee table genuinely look like it belongs in the industrial décor you should ensure it’s built from raw wood. And for an enhanced effect, it’s recommended to get a table with exposed metal legs. Take a look at this table from Amazon. It’s close to what we had in mind. When it comes to sofas and chairs, the main element that you should focus on is leather. There’s plenty of freedom here as you can go for a more traditional model or a more modern low-profile couch. In case you’re not a big fan of leather upholstering, there are other choices to consider. Linen sofas and chairs are good alternatives. In the industrial style, rugs should ideally blend in with their surroundings. This means you will need to avoid bold designs and limit yourself to faded and textured solid rugs. Keep the patterns simple without abstract art or awkward geometric styles. Darker shades of gray, blue, and red could work well to match the rest of the industrial pieces. If you want a more interesting rug, you could try an oriental style or a more traditional/ethnic woven rug. Extra dynamism can be achieved with the layering of rugs technique. Accessories play an important part for finishing off the look of your new industrial home. For example, when it’s time to select throw pillows, go for something that emphasizes the texture. Whether you prefer rustic or leather models, they both go pretty well with the industrial design. Lots of little decorative items can be used to complement one another. If you prefer dark rugs you could add similar pieces which show off the artistic potential of the industrial design. With neutral-toned furniture like you’d usually expect to find in an industrial room, you could easily play with contrasts and accents from your decorative accessories. 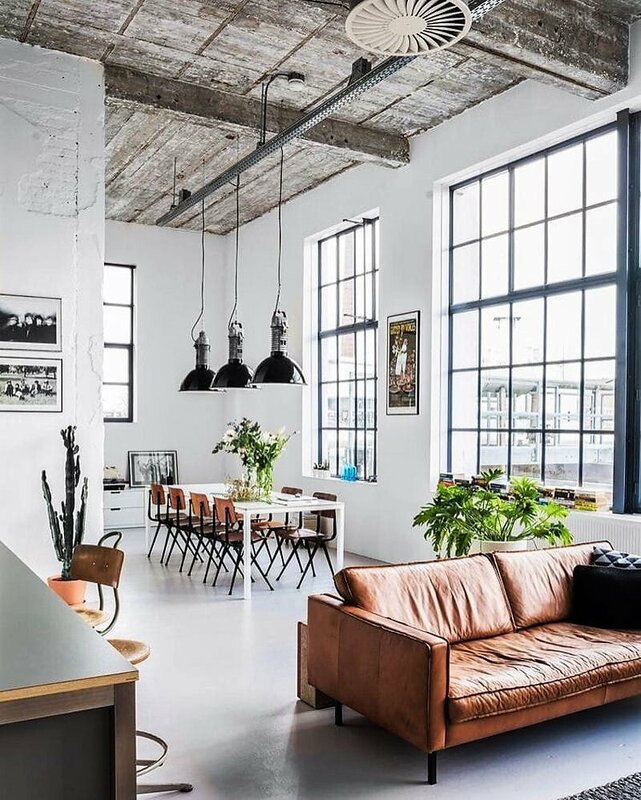 Lighting should definitely not be overlooked when you’re trying to complete the industrial look of your home. 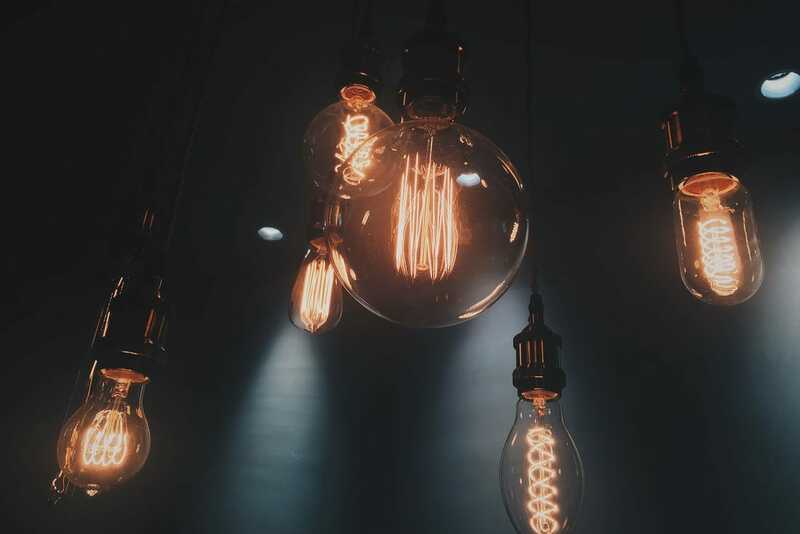 There are usually two main categories of industrial lighting – vintage and modern. One of the most appreciated lighting choices to make the room look more industrial is to incorporate an exposed pendant lamp. 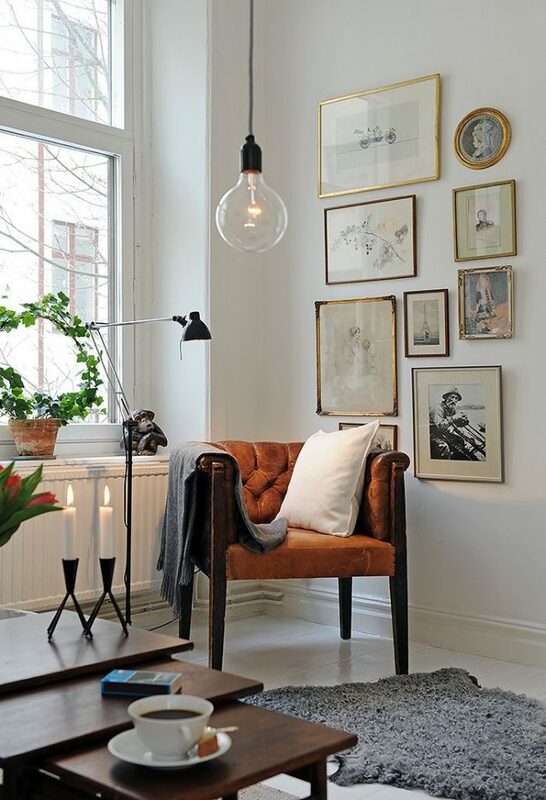 We recommend Edison light bulbs as their Old World-style look and soft orange glow fit very well the industrial aesthetic. Ceiling lamps can come in different shapes and forms. Some people might like a single statement piece with a rusty oversized cage while others prefer multiple dimmer lights. Here and here are some great light fixtures from Amazon to give you some inspiration. When it comes to covering those large and cold walls in the living room, a quick solution represents adding some vintage or mechanical wall art. Oversized things such as clocks and blueprints work very well. It doesn’t just add a visual interest point, but it also keeps the space from feeling too empty and monotonous. The kitchen is one area that you should focus on when designing your industrial style home. 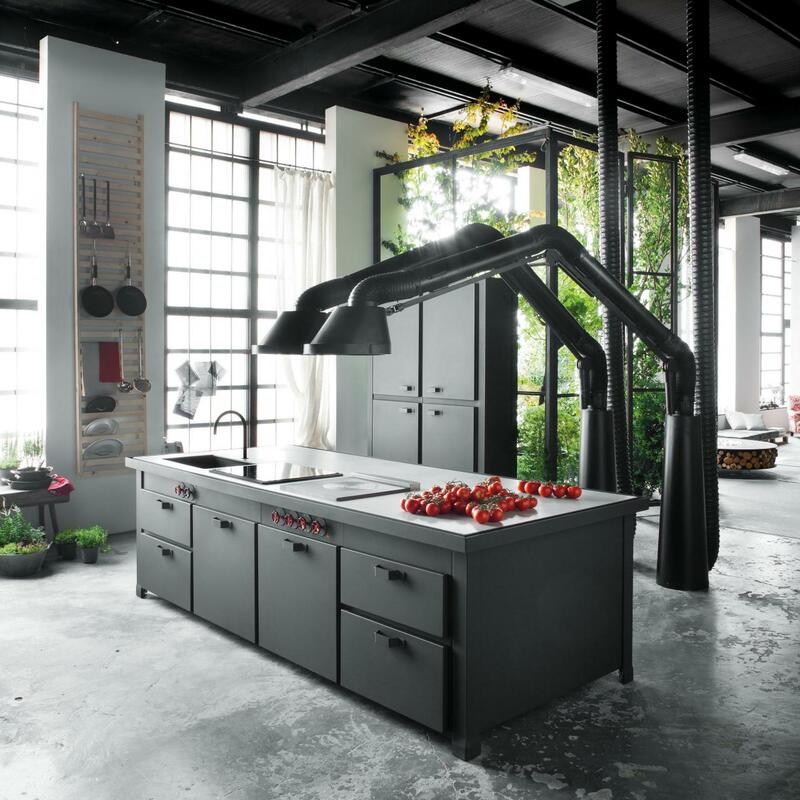 There are lots of places to search for inspiration for an industrial kitchen. One area, in particular, is the commercial kitchen. You can get really creative with the space used for dining as you can turn it into a more functional workspace. Add some useful storage with an aesthetic purpose such as floating shelves. Many industrial designers like the idea of a home bar or large kitchen island. With some interesting lighting fixtures and adequate seating, you can make your guests enjoy a comfortable and calm ambiance. In terms of bedroom industrial decorations, there are many creative options to choose from. Keep the bedding in a minimal style without sacrificing the comfort. Compelling lighting details can make all the difference and make sure you use softer materials. An essential piece that shouldn’t miss from the industrial bedroom is the desk. This could be a nice spot reserved for bringing your brainstorming ideas to life. You don’t really have to consider the bedroom desk like a genuine work desk. This could act more like the place for personal endeavors and sparks of inspiration. The bedding should be minimal but still successfully accomplishing its intended purpose. Try out some linen-inspired shades and quilts which can create a solid contrast with industrial architecture. 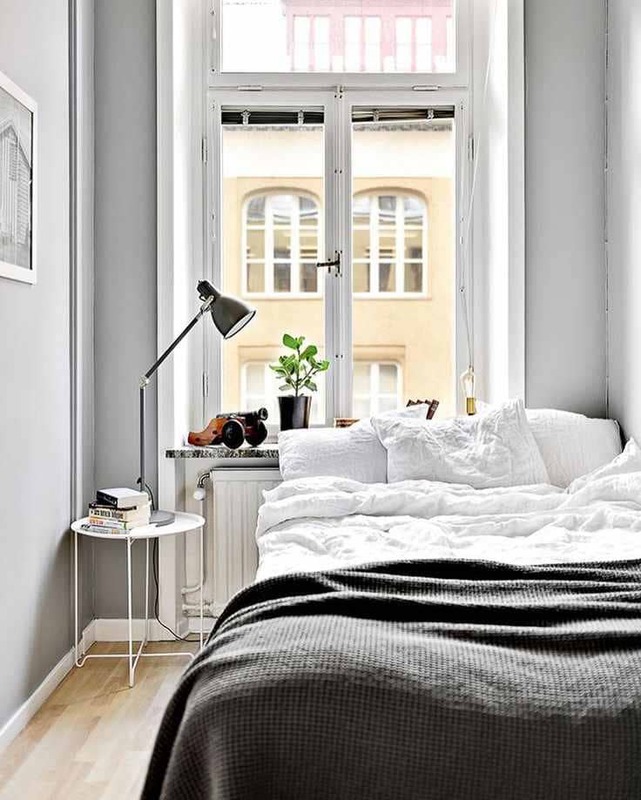 Even though all-white bedding can be seen as too simple, it can actually make a bold statement when paired with exposed brick and metal fixtures.